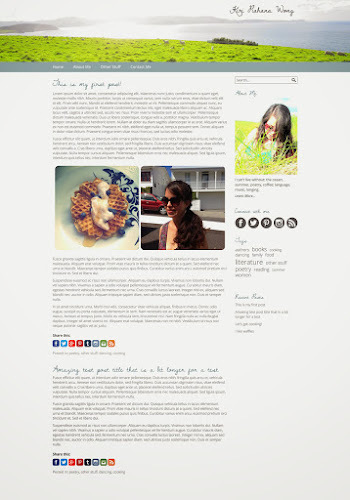 I am currently working on the design for my cousin's blog. 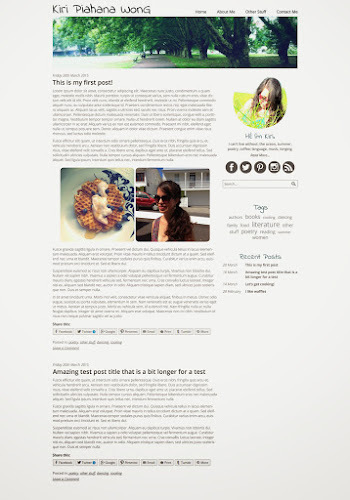 She will be using Wordpress so I will be building a custom template for her. So far I have 2 simple layouts based on her brief and am working on a 3rd one. From there we can then narrow down what will work for her and proceed from there. I normally use InDesign for laying out my initial designs as I find it more flexible than Photoshop for moving elements around and playing with text.